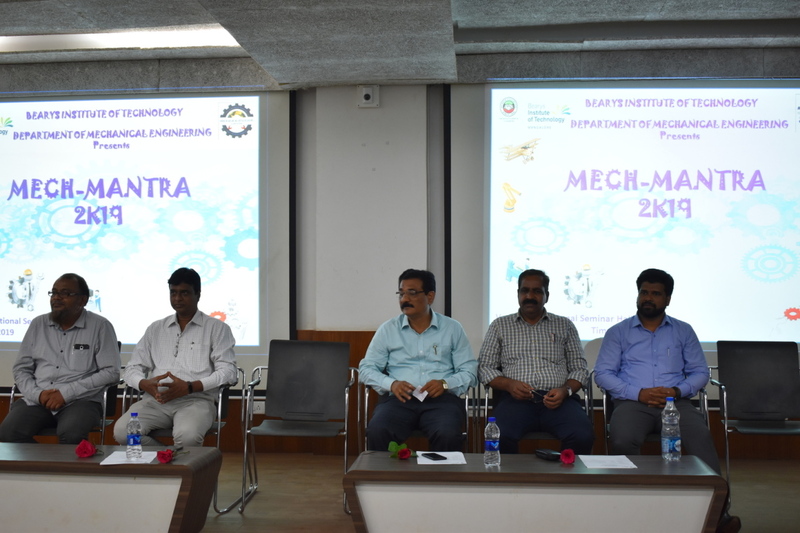 The Department of Mechanical Engineering at BIT organized a Mech Mantra-2019, which comprises of three different competitions namely 1.) Lathe Modelling 2.) 3d Modelling using solid edge software. 3) Quiz competition on 21st MAR 2019 at 10 AM. 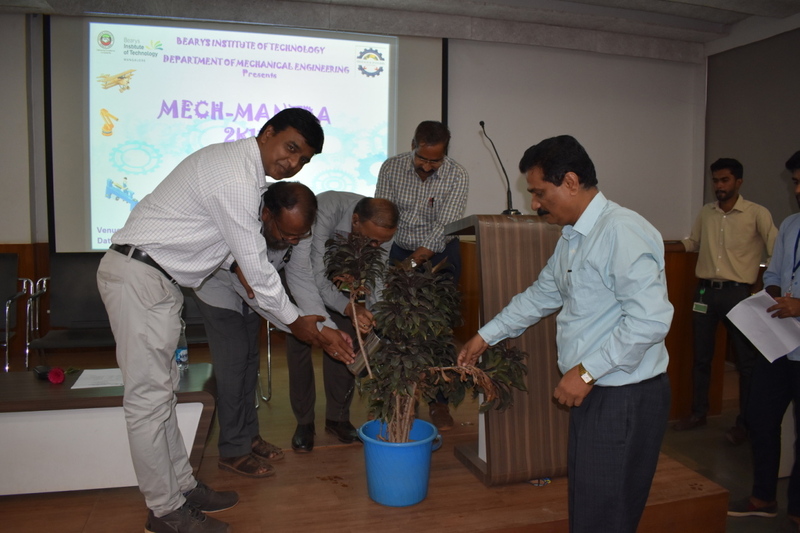 The Inauguration of the Program was held at International Seminar Hall. 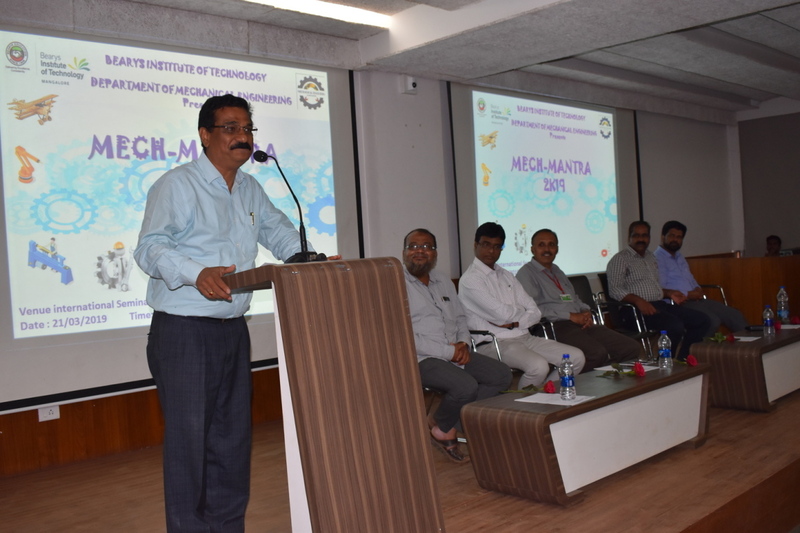 The program began with invoking Almighty and programme was presided by the Principal Dr. Mahabaleswarappa, in his address, he appreciated the efforts put by the students in arranging the program. 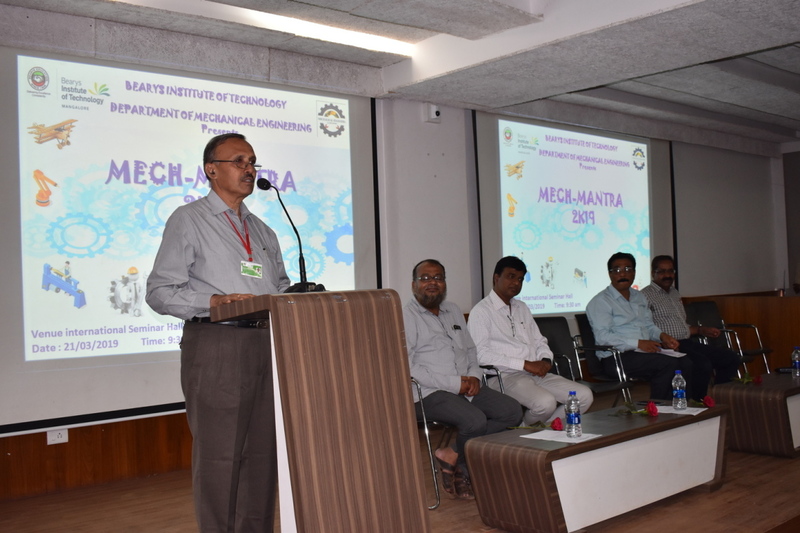 Dr. M. Basvaraj, HOD, Department of Mechanical Engineering, gave the inaugural speech, in which he briefed about Mech Mantra 2019 program and encouraged the student to take active participation in all the computations. The following are the winners for the events. 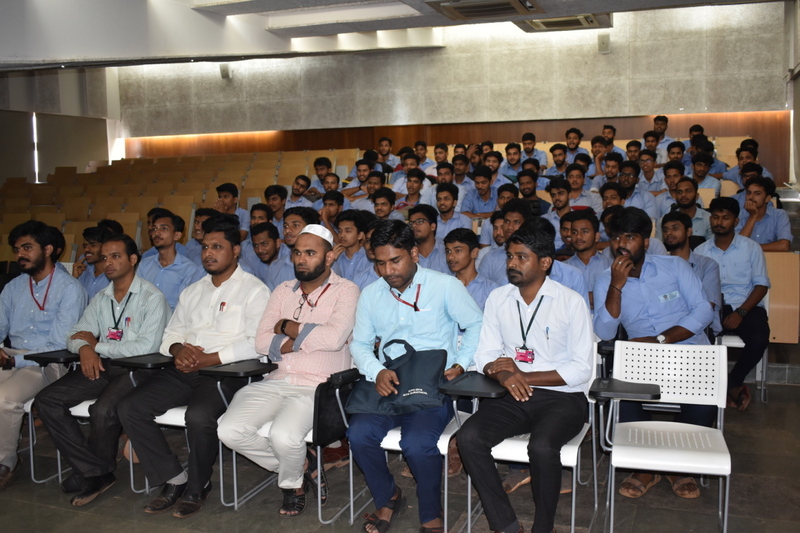 3.Quiz competitions First place- Mr. Aboobakkar Siddiq and Mr. Thashreef (Final year Mech) and Second place- Mr. Althamash and Mr. Nihad Rashid (Third Year Mech). 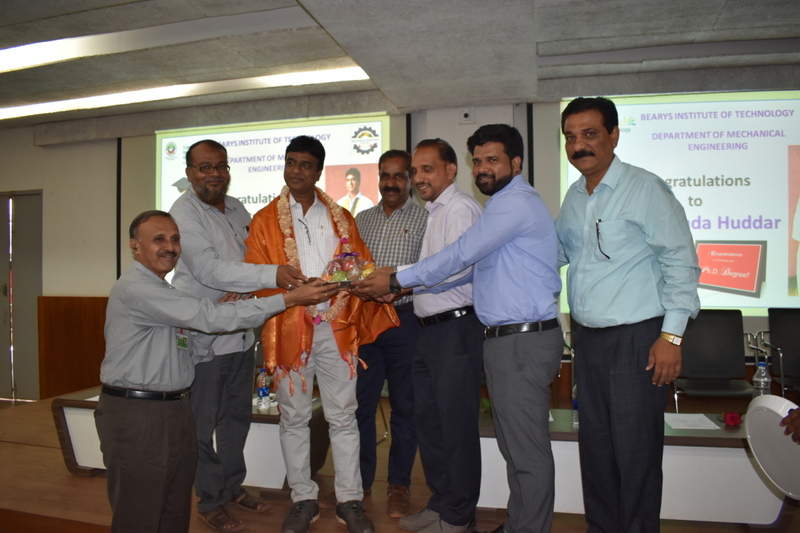 The program was witnessed by Heads of various departments. 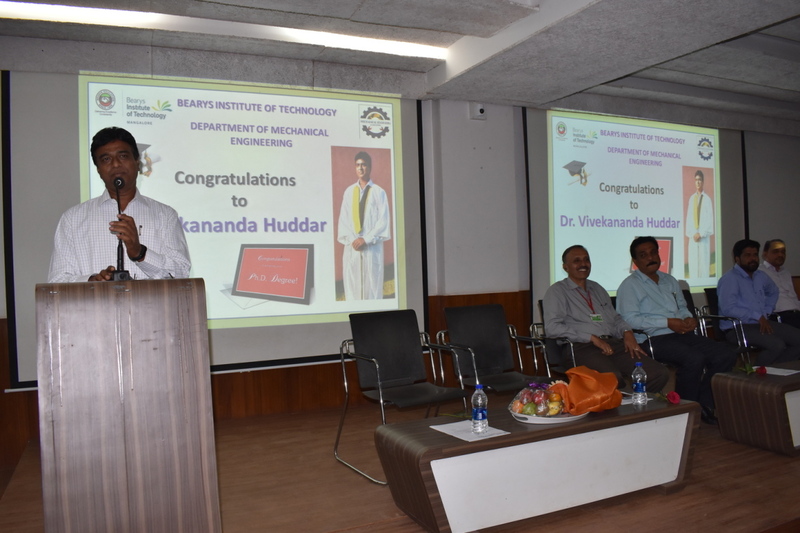 The program was concluded by a vote of thanks by Prof. Manjunath Ichchangi, Asst. 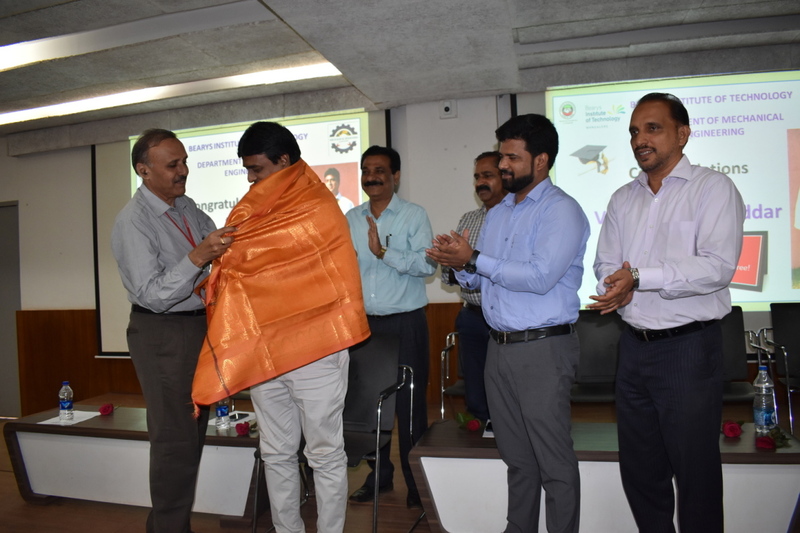 Professor, Mechanical department, followed by National Anthem.